of Long Island Public School Districts with high schools currently have FIRST® FRC® teams. of our public school districts have had FRC teams at one time or another. Not including several private high schools who have also participated. Additional districts and other groups, such as the Girl & Boy Scouts have almost 300 FLL® and FTC® teams. 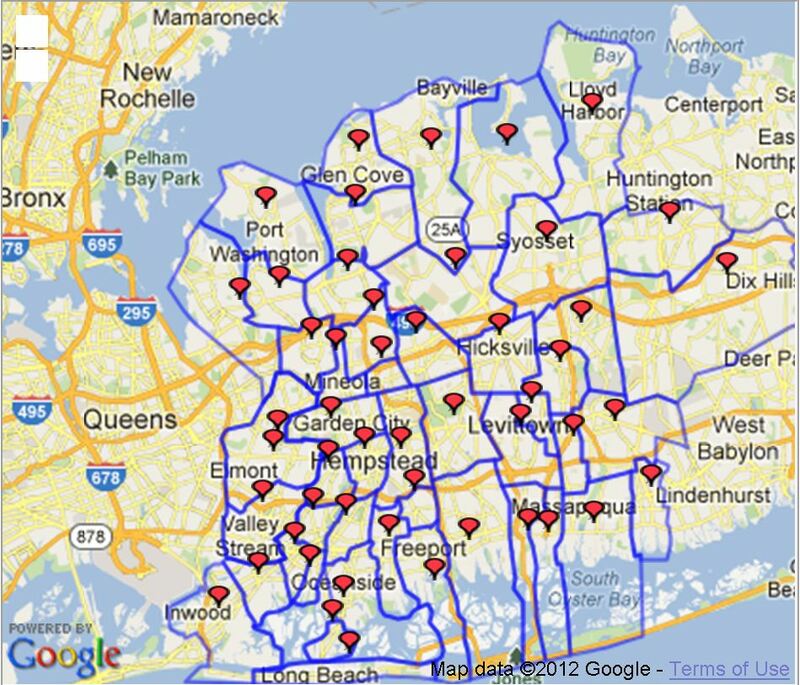 Of school districts with high schools there are 55 Suffolk County and 46 Nassau County public school districts, as well as 27 private high schools of various student body sizes from enormous to tiny, listed below. Note: Several LI teams have been reassigned numbers, entries for both numbers are preserved below. Catholic school conducted by the Sisters of Saint Joseph of Brentwood. Lower school, junior high & high school. Principal - Sister Joanne Forker. Catholic School, Headmaster - Brother Dennis Cronin. An independent co-ed college preparatory day school. Administrator - Denese Giordano. Junior/Senior High School., Principal - Mother Mary Bosco. Principal - Gregory P. Eck. Catholic girls high school based on the tradition of Saint Jospeh. Principal - Sr. Jeanne Marie Ross. Comprehensive Catholic co-educational senior high school with 1575 students, Principal - James J. Boglioli. Education within the Lutheran tradition. Executive Director - Dr. David Hahn. Catholic High School, Principal - Kevin McBride. Catholic boys high school, Principal - Brother Joseph Bellizzi. Oldest high school in the Diocese of Rockville Centre. Catholic Parish high school. Principal - Dr. Patricia Ann Crisci. A private day school that has served students in Nassau, Suffolk & Queens County since 1924. Principal - Robert Klein. Catholic Coed Junior/Senior High School run by The Sisters of Mercy & Daughters of Wisdom. Principal - Sister Elaine Hanson. Specializing in meeting needs of children needing small class size, structured classroom and nurturing environment. South Huntington - St. Anthony's High School (9-12) Catholic school. Principal - Brother Shane Burke. St. Brigid/Our Lady of Hope Regional School Westbury school district. A Catholic co-educational Jr. /Sr. High School in the Marianist Tradition, Principal - Brother Kenneth M. Hoagland. Catholic College Preparatory High School, Principal - Walter D. Lace.